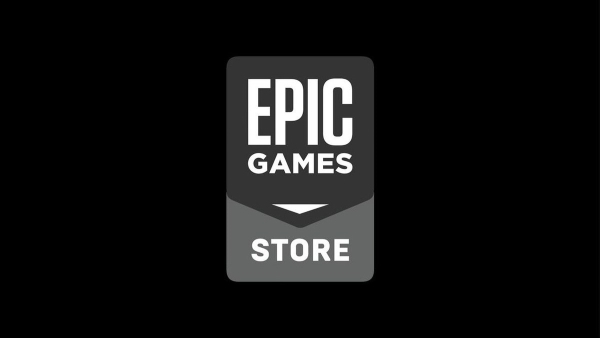 Epic Games have announced they’re launching their own digital game store – the Epic Games Store. Epic explained how building the Epic Games launcher over 5 years along with Fortnite’s success and economic model (via V-Bucks) helped prepare the company for what they felt was the next step. “As developers ourselves, we wanted two things: a store with fair economics, and a direct relationship with players. And we’ve heard that many of you want this too! 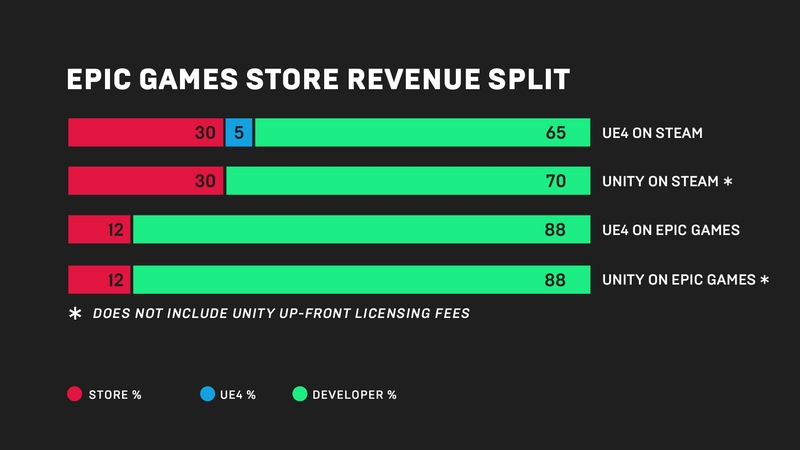 Epic even provided a handy graph with how (allegedly) the cut developers using Unreal Engine games on Steam get. 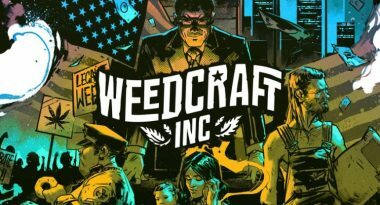 It should be noted that while Steam did take around 30% of revenue on sales prior to October 1st, it is no longer so clear cut with how they have recently adjusted how developers gain revenue. The “no tiers and thresholds” mentioned in Epic’s announcement seems to have been a none-too-subtle jab at Steam’s reworked revenue system. During the interview with Game Informer, Sweeney, explains why they went for an atypical revenue model. As another principle, those who buy a game through the Epic Games Store will be automatically be subscribed to that developer’s newsfeed and even be able to send them email if the user desires. They assure the newsfeed will be “front-and-center”. Finally, Epic vows that “There will be no store-placed ads or cross-marketing of competing games on your page, and no paid ads in search results” and that engines beyond Epic’s own Unreal engine will be welcome (initially also accepting Unity and internal engines). The launching of a new store is sure to please Tencent Games, who have 40% ownership of Epic. This does make them technically make them only an associate, but still grants them the right to nominate directors to the board of Epic Games. Tencent have been suffering a whopping $20 billion in losses, so a new form of revenue such as a store based in the west makes sense while China is classifying less games. Curiously, all signs point towards Tencent still giving their own Chinese-based digital game store WeGame a global release. 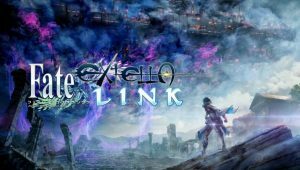 More details are said to be coming during The Game Awards on December 6th. We will keep you posted when we learn more as well. So, what do you all think? Do you think Epic will be more fair for developers? 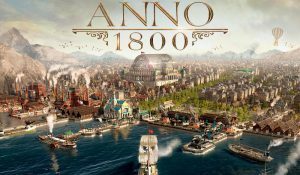 Does Valve and GoG have a reason to sweat? Sound off in the comments below!